In our last blog we gave insight into e-commerce consumer psychology today we're focusing on the importance of great customer service. Customer service is an increasingly important factor in evaluating the quality of your e-commerce shop. We created this resource to help e-commerce owners understand the importance of a great customer service experience to the growth of their business. Many businesses pour money into advertising campaigns, but rarely concentrate on delivering good customer service, this can undo all the hard work instantly. Perfect customer service can be as good for the brand as a well-orchestrated Ad campaign since it involves getting your customers to do the advertising for you. Great customer service also determines if your existing customers will shop with you again, and if your potential clients transcend into clients. Below are ten of the 108 customer service facts with infographics we have gathered from our resource page to give e-commerce owners insight into the strength of good or bad customer service. What do they imply for your business? Are you doing enough to value your customers? How can you improve your customer service model to increase your brand loyalty and grow your business? All consumers have a value which transcends their next purchase. 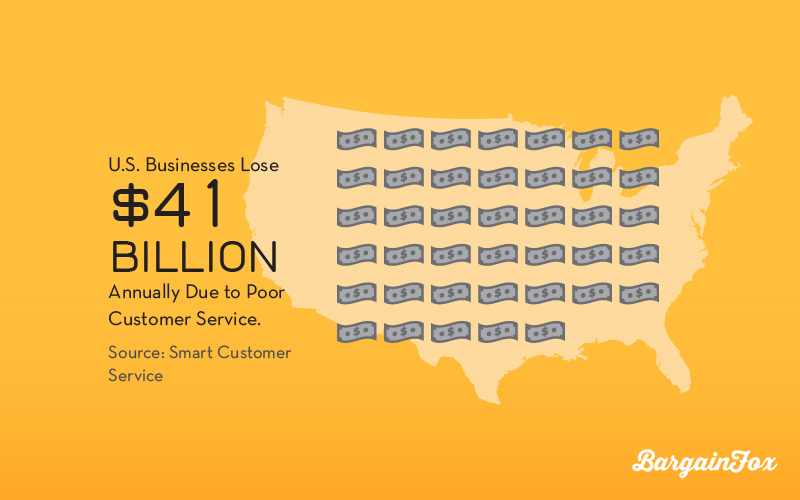 If a company loses a customer because of bad service, the company could potentially lose at least a year's worth of revenue because you failed to give proper service. Also, bad news travels quickly. Disappoint a single customer and their friends and some family will not shop with you either due to that. It is not unexpected that there is a multi-billion dollar bill which is attached to bad service. Even though social media may not be a very popular choice when it concerns customer service, it is a highly popular platform when it comes to sharing bad experiences. Before the internet, when a customer is upset, three or four friends might hear about it. In the 21st century, one angry customer can quickly reach thousands of individuals within minutes or hours. Providing a good customer service is maintaining your brand image as well as the relationship with your customer. 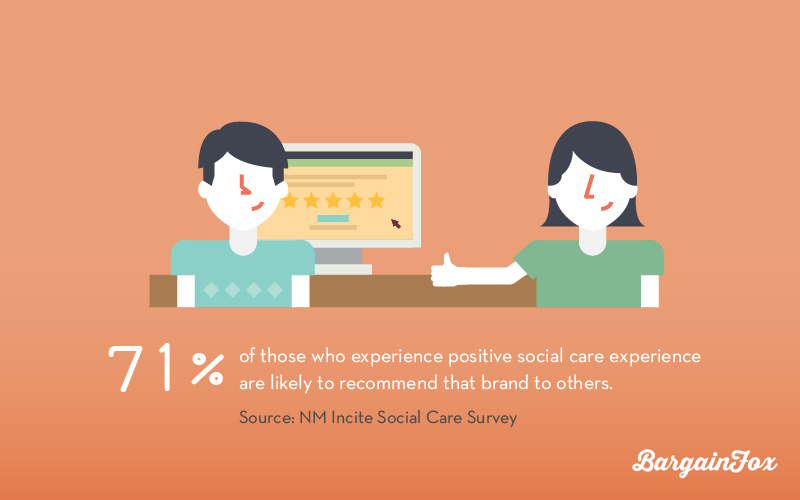 Consumers will be more willing to share their positive experience than a negative experience, with about 69% of customers recommending the brand which delivers excellence. Nothing can contend with a personal recommendation, and this is something contact centers should achieve with each customer communication. 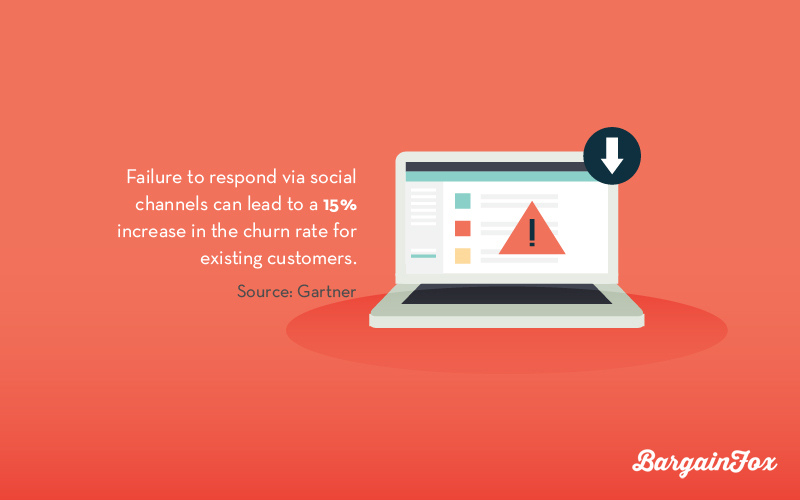 Whenever you fail to resolve any customer’s issue, there is more than a 50% chance that you’ll never hear from the customers again, and that is a lot of revenue. The work of the contact center is important in ensuring that your existing customers continue coming back. 5. About 77% of U.S online adults state that valuing their time is probably the most important thing a company will do to offer them customer service. Customers reportedly do not require much from customer care besides value for their time and a calm response. With the new social media-grabbing headlines which claim that it is the future of customer service, there is a risk that the contact centers will spend time developing a social strategy and perhaps neglect the good old-fashioned calls. This statistic reveals that phone support needs to be the number one priority for all call centers. As long as customers are concerned, it is often much easier to pick a phone and speak to an individual than it is to track the brand down on its social media platform. 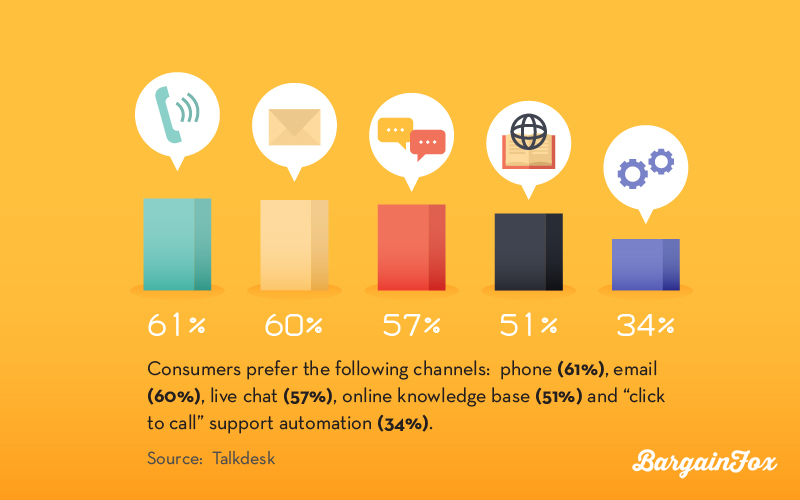 This can be compared to the 68% of consumers who get in touch via phone, and it should bring your customer service plan into perspective. While it is still essential that brands be active on social media, Twitter and Facebook are far from becoming the initial channels of choice for most consumers. The social media may not be the most famous channel of communication, but it can have a great impact on how a lot of shoppers see your brand. Failing to make a response to someone is the absolute worst thing you can do. Your customer will feel under-appreciated and also ignored, and their request will be left unanswered on social media for everyone to see. When e-commerce started out, many consumers used their stores online as a means of saving money. It has since become more than a means of saving money as consumers now look for high-quality service, as well. Often businesses become wrapped up in getting new customers; from ad campaigns to discount coupons, they will do anything to tempt any potential customers in their store. This may lead to some existing customers feeling neglected, and it is the job of the contact center to ensure that this does not happen. 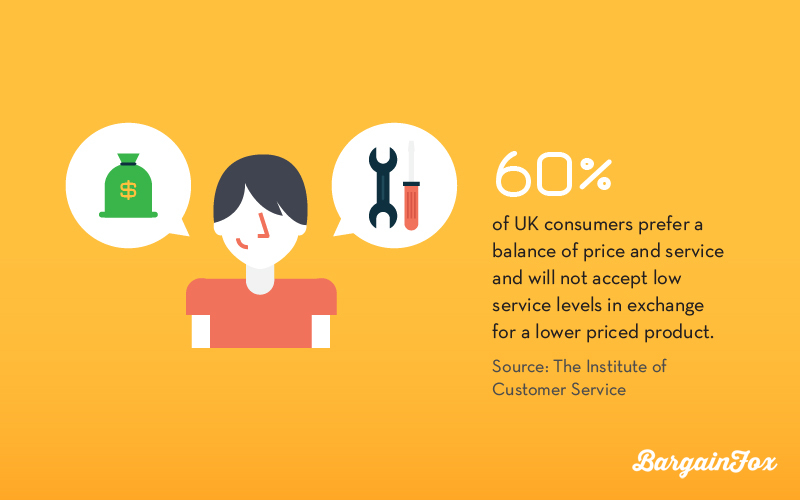 Read the full page: 108 customer service facts and infographics here.